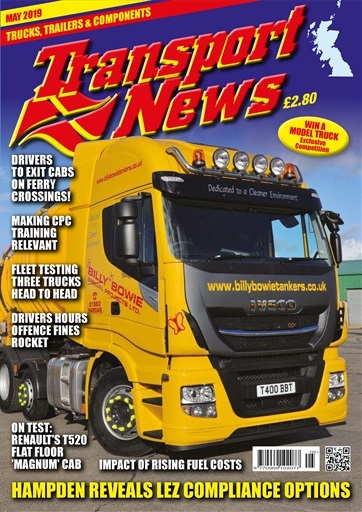 Road transport news in Scotland and the north of England this month centres on Glasgow’s forthcoming Low Emission Zone restrictions and the need for compliance by transport operators serving the city centre. All was revealed at Hampden Park! Remember the big, flat floor Renault Magnum cab? We test its successor in right hand drive. Show previews cover APSE at Aviemore and the CV Show in Birmingham and we take a look in on the burgeoning Wilcox truck body building empire. 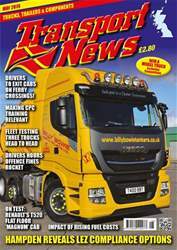 Now here’s an interesting story: A Linwood haulier has stuck with the same truck make for years, but is now testing the oppo, running three different truck marques head to head. All this plus industry comment, lots of liveried truck pictures in their northern habitat, and did you know we have fitted hyperlinks to advertisers’ websites? Just click their web address and you’re straight through, but only with our digital edition of course.